I think short hair is the trend nowadays. I have seen many celebrities and TV personalities cut their hair and prefer to have short hair. Those celebrities have big impact to ordinary people. So, many are choosing to cut their long hair and be like their idol, but, come to think it’s not easy to have long hair so to cut them easily is really a hard decision. 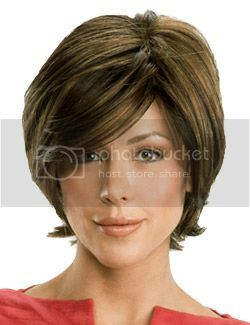 So, I suggest to wear short wigs instead, if you really want to go to the trend but doesn’t want to cut your long hair.